If you had a choice between the Superstars meet in Birmingham or the concurrent World Cup meet in London — both hosted the same day — which would you choose? No question for me. I’d be at the World Cup. But they had a big crowd at Superstars. Ticket paying fans seemed to enjoy the comedy. For once the gymnasts knew that entertainment was the goal, not the very best Gymnastics. Hopefully Superstars will continue to be a success into the future. World Championships in Glasgow was a near perfect meet for me. NCAA Gymnastics meets — both MAG & WAG — are plenty entertaining enough too. A meet should last no longer than 2 hours. And I’d love to do anything to improve safety. The main question so far is WHY she would leave the NBA for USAG. One of the biggest weaknesses I see in Gymnastics coaches is poor people skills with parents. That’s especially true of young coaches who haven’t learned the hard way yet. Are you spending enough time keeping YOUR parents informed and onboard with shared goals? That’s from Lisa Mitzel’s book FOCUSED and Inspired. Recommended. Cedrick Willian on Gym Blog Brazil posted an important update on Valeri. – short term goal is Tokyo 2020. Long term is important, as well. – other days training: morning 08:30 to 12:30, afternoon 15:30 to 18:30. Women’s high-performance team coordinator is not a full-time job. The process for Doha was successful so Tom so far plans to continue with that approach into the future. With #Tokyo2020 coming into focus, get to know women's high-performance team coordinator Tom Forster. 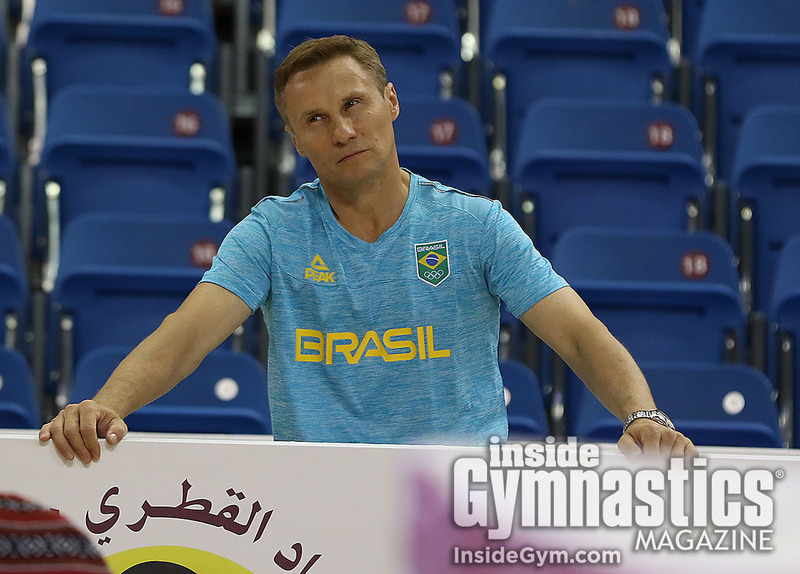 Posted on January 19, 2019 January 9, 2019 Categories Gymnastics, planning, sport medicineLeave a comment on are coaches willing to CHANGE?